The quickest and easiest way to show your listings! If you are interested in shooting a property primarily to have still shots for the MLS, this is the package for you. We will shoot at least one shot of every room - multiple angles for larger rooms/areas - and arrange all of those shots in order of how you would see them while walking through the house. The slide show will have the same layout and information available as the virtual tours (Email, Map, and Community Links, without the link to a Virtual Tour). 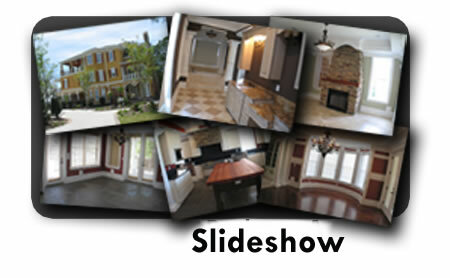 We will also send you whichever pictures you want from that slide show for your additional marketing needs. Want all of the pictures? No problem! We can burn all of the images, including the slide show, onto a CD (for a small additional fee). We can also post the tour to the MLS and Realtor.com for you.